Sparker exits create a bright & festive end to a wedding reception and provide a great photo opp! 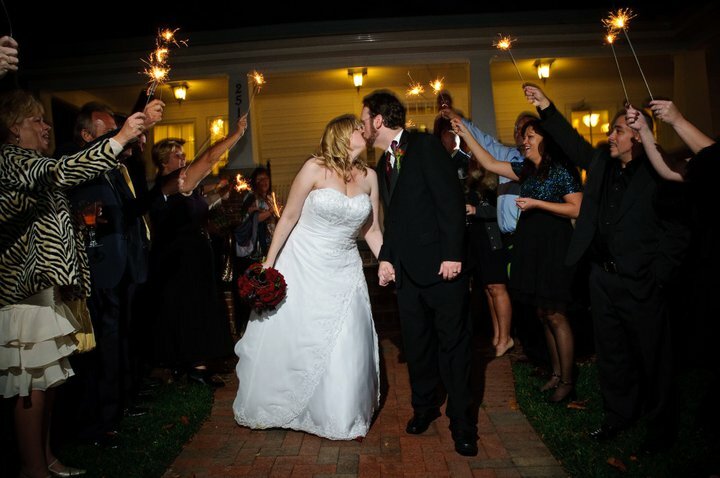 At the Rand-Bryan House, we have the perfect spot as the newlyweds exit our main door onto the front porch, then walk down the sidewalk with their friends and family lining the aisle, waving their sparklers. 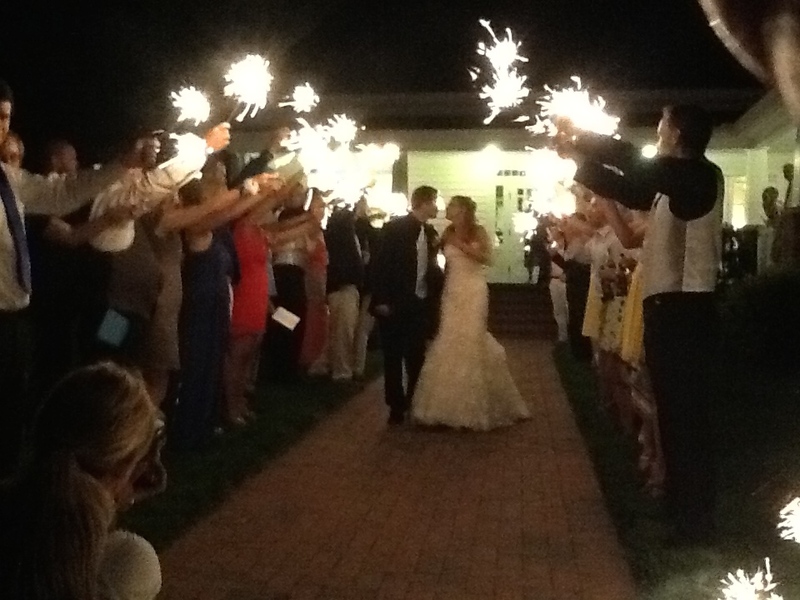 If you are choosing sparkers for your send-off, look online for those that are at least 20 inches long. Standard sized ones just aren’t long enough to sparkle as long as you need for that dazzling get-away! Vintage weddings are really popular and it’s looking like this trend will continue for a while. While browsing Pinterest and other social media, brides get ideas for their decorations and yet create their own unique looks for their special day. Vintage decor can be budget friendly while still being interesting and attractive. 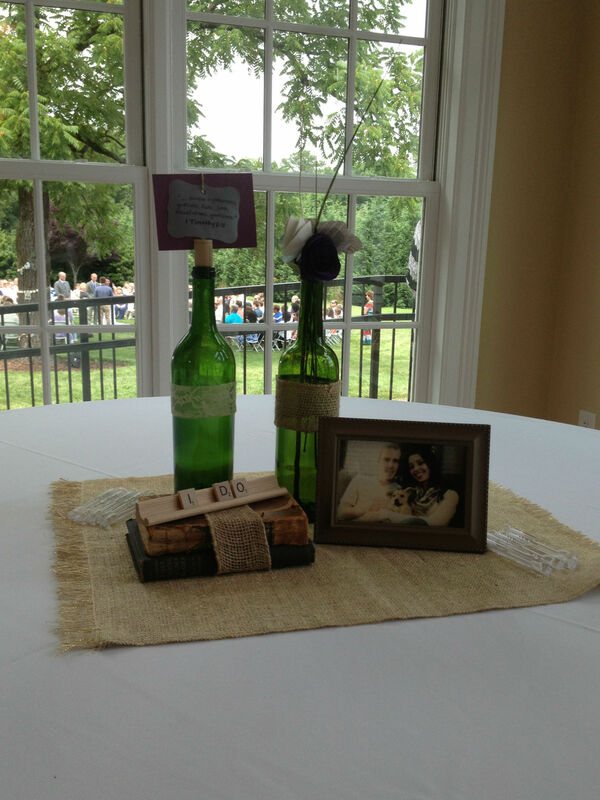 Here’s a few shots of some vintage decorations at some recent Rand-Bryan House wedding celebrations.